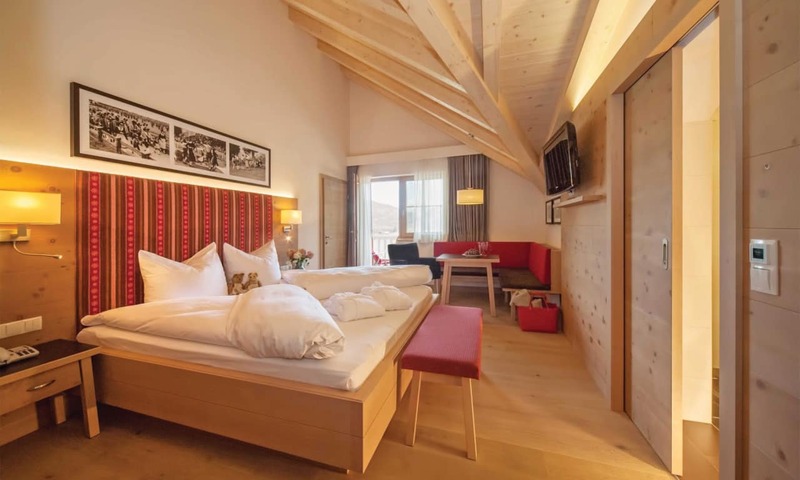 You’re in for quite the treat when you stay at the Alpendomizil Hotel Neuhaus, in Mayrhofen. 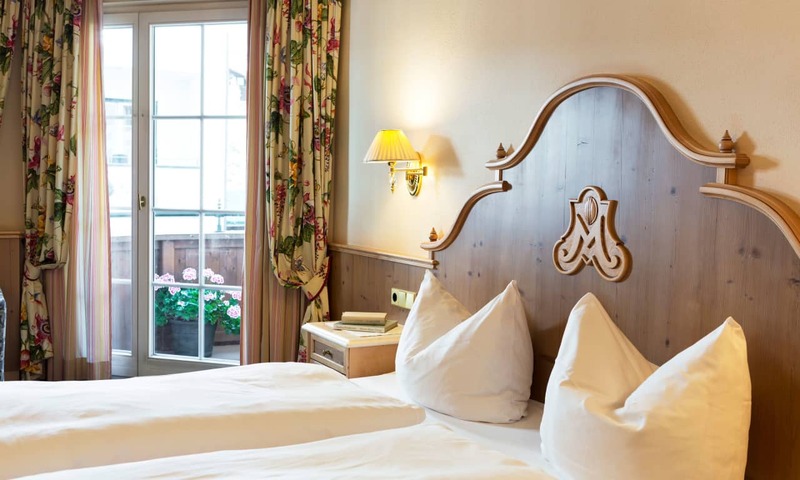 The stunning 4 star hotel is located in a peaceful area, surrounded by the snow-covered Alps, and just a snowball’s throw from the resort centre. 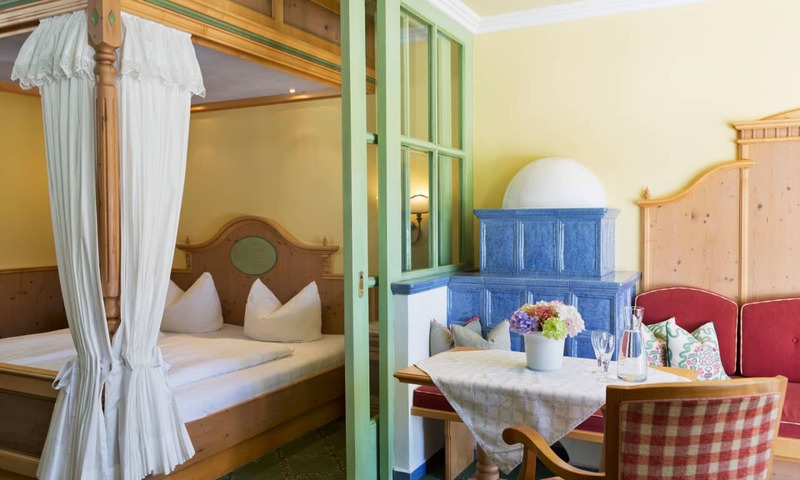 Expect bright, spacious, and comfortable accommodation at the Hotel Neuhaus. Each room features a bathroom, cable TV, and balcony or terrace from where you can breathe in that crisp Alpine air and admire those impressive surrounds. When it comes to mealtimes, look forward to some fantastic food. Nearly all the ingredients used in each meal come straight from the hotel’s farm, so you’re guaranteed the freshest of produce and some seriously great flavours. Facilities within in the hotel are also superb. The hotel’s well-equipped gym is ready and waiting for those seeking to increase their exercise quota for the day, while the hotel spa, which features a number of saunas and aromatic steam rooms will have you feeling fantastic in no time. There are also a number of beauty treatments and massages on offer, should you wish to pamper yourself further! Kids will also be in their element, with a cinema, bowling alley, dedicated children’s play room and a pool table on site. Grown ups can pay a visit to the Movie Bar, a hugely popular spot for great drinks and an even better atmosphere. Location wise? 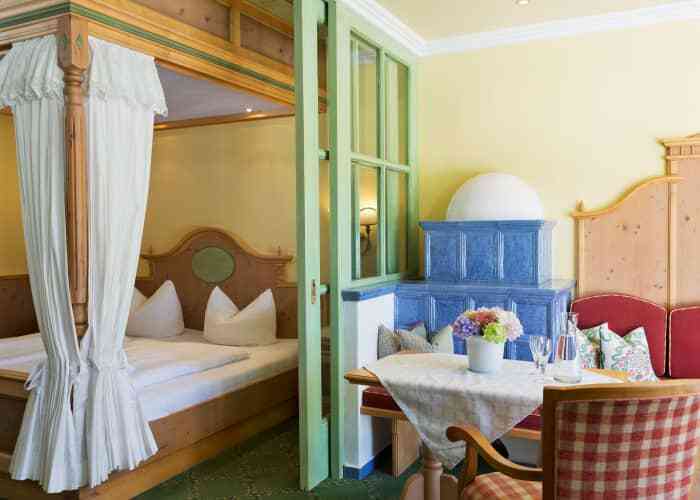 Well, hotel Neuhaus gets top marks too. 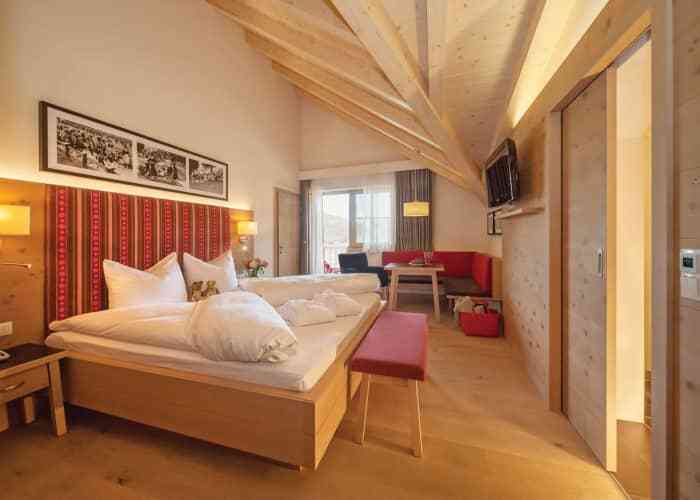 The bustling centre of Mayrhofen is just a few minutes’ walk from the hotel, there’s a ski bus stop practically on your doorstep, and the Penken gondola is a 10-minute walk away. Suitable for maximum 3 adults and 1 child under 16 years. 4 adults will not be accepted.